Algorithmic trading research is in its beginning stage. The following is a summary of the more prominent articles on this subject. Almgren and Lorenz (2007) provide an overview of the evolution of algorithmic trading systems over time. The first generation of algorithmic strategies aims to meet benchmarks generated by the market itself. The benchmarks are largely independent from the actual securities order. Examples of this strategy are the volume-weighted average price (VWAP) or an average of daily open-high-low-close (OHLC) prices. 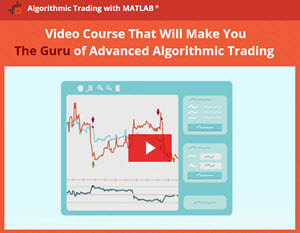 The second generation of algorithmic trading strategies aims to meet order-centric benchmarks generated at the time of order submission to the algorithm. The execution strategy targets the minimization of the implementation shortfall, i.e., the difference between decision price and final execution price. Second-generation algorithms implement static execution strategies, which predetermine (before the start of the actual order execution) how to handle the trade-off between minimizing market impact costs (by trading slowly) and minimizing the variance of the execution price (by trading immediately) (Gsell, 2007). Third-generation algorithms implement dynamic execution strategies which reevaluate strategy at each single decision time. This enables the model to respond to market developments dynamically. Trading aggressiveness can be altered during the course of the decision making process (Almgren and Lorenz, 2007). Yang and Jiu (2006) propose a framework to help investors to choose the most suitable algorithm. Morris and Kantor-Hendrick (2005) note some factors that investors take into consideration when deciding to use an algorithmic trading system. Trading style and frequency, regulatory obligations, and trader experience were found to be significant variables when selecting an algorithmic trading system. The literature provides studies covering the impact of algorithmic trading models on different markets. Konishi (2002) proposes an optimal slicing strategy for VWAP trades. Domowitz and Yegerman (2005) examine the execution quality of algorithms in comparison with brokers' traditional method of handling large orders. They conclude that VWAP algorithms on average have an underperformance of 2 bps. This is counterbalanced by the fact that algorithms can be offered at lower fees than human order handling. Kissel (2007) outlines statistical methods to compare the performance of algorithmic trading solutions. Hendershott, Jones, and Menkveld (2007) present evidence that algorithmic trading and liquidity are positively related. Chaboud et al. (2009) study the effects of algorithmic trading on the foreign exchange (FX) markets using three widely traded currency pairs. They find that algorithmic trading systems are not related to volatility and that the variance in FX returns is not related to algorithmic trading order flow. The authors suggest that there is a relationship between trade-correlated and trade-uncorrelated information processing patterns when comparing algorithmic trading systems and human traders. They conclude that algorithmic trading systems provide better quotes due to their ability to process more public information than a human trader. Hendershott and Riordan (2009) provide a continuation of the previous study of Chaboud et al. (2009). They test the average level of algorithmic trading and human information (measured as the variance of the random-walk component of returns) and conclude that algorithmic trading orders and quotes are more informative than are those made by humans. Riordan and Storkenmaier (2009) study the impact of the upgrade of Deutsche Börse electronic trading system on the information content of algorithmic trading systems. They find that the upgrade of the trading system has decreased trading costs and increased overall liquidity. Further, traders using algorithmic trading systems process information much faster than their human counterparts and thus increase the liquidity of the market and the information content of the prices. Finally, Gsell (2007) provides a simulation result of the implementation of algorithmic trading systems. He finds that algorithmic trading systems have an impact on market outcome in terms of market prices and market volatility. He also finds that the low latency of the algorithmic systems has the potential to significantly lower market volatility. However, when he simulated trading with larger volumes, the algorithmic trading system resulted in negative market prices. How has althorimic trading impacted the forex trading?